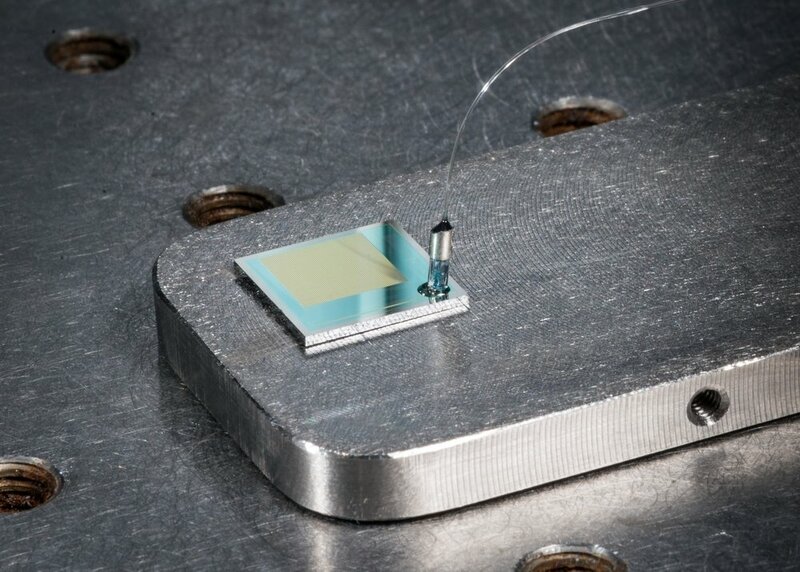 In addition to supplying enabling optical I/O (input/output) components (PROFA1D, PROFA2D) to you or your preferred packaging vendor for wafer-level probing, coupling or packaging, Chiral Photonics also offers optoelectronic packaging services. Low-loss edge or face coupling, using a growing array of coupler options, for both probing and packaging. Packages customized to application needs for high frequency, low frequency or all-optical/passive applications and optimized to meet your form factor requirements. Pigtailed or pluggable package designs. Device operating conditions and package/test requirements: cryogenic, high temperature, hermetic. In order to assist customers in planning for optical packaging, we offer a free Optical Coupling & Packaging Design Guide. We encourage consideration of the packaging design early in the process to avoid common mistakes that could complicate the packaging process. Contact us to obtain a copy of our free coupling and packaging design guidelines: designguide@chiralphotonics.com. 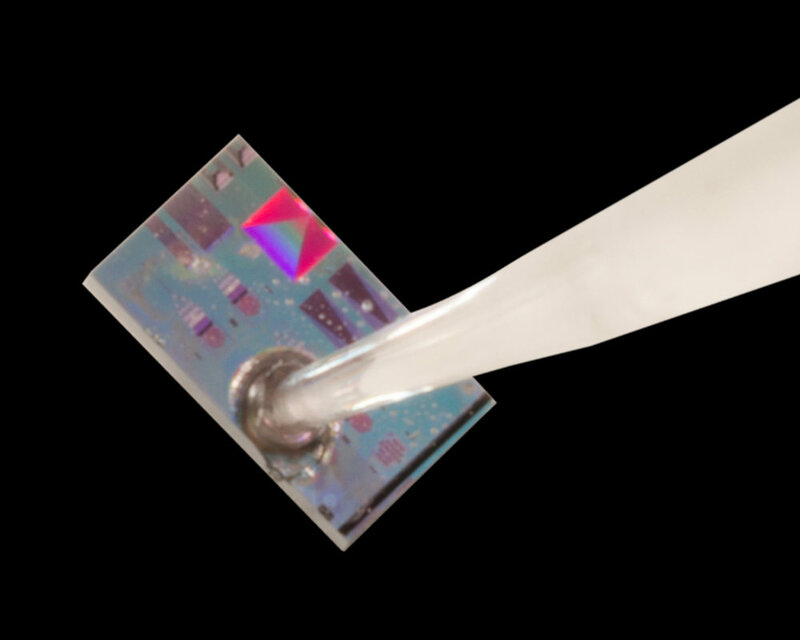 61-channel flexible tip PROFA2D surface coupled to high radix (64 x 64) silicon photonic MEMS switch. 61-channel I/O is accomplished in single port and one alignment step. 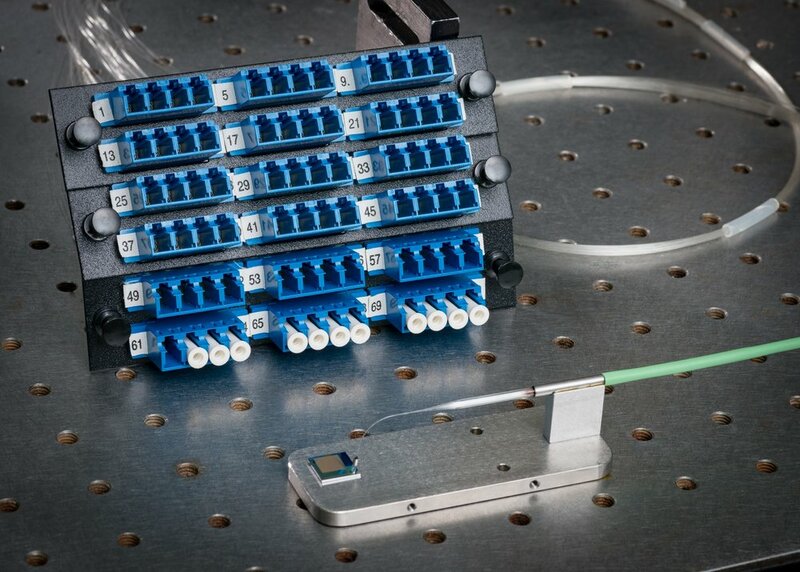 I/O occupies a compact space of 330 μm x 280 μm - more than 200 times smaller than a comparable linear fiber array with 127 μm standard pitch. 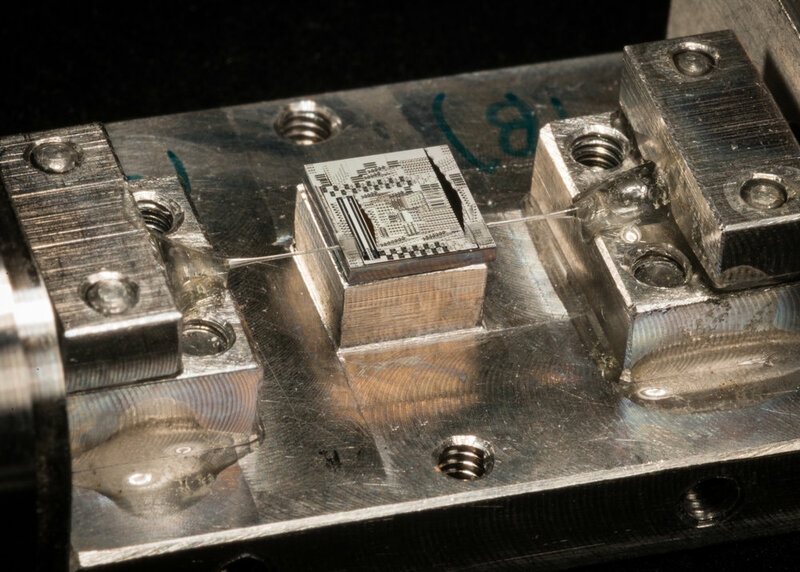 T. J. Seok, V. I. Kopp, D. Neugroschl, J. Henriksson, J. Luo, and M. C. Wu, "High Density Optical Packaging of High Radix Silicon Photonic Switches," in Optical Fiber Communication Conference Postdeadline Papers, OSA Technical Digest (online) (Optical Society of America, 2017), paper Th5D.7. P. De Heyn, et. al., "Ultra-Dense 16x56Gb/s NRZ GeSi EAM-PD Arrays Coupled to Multicore Fiber for Short-Reach 896Gb/s Optical Links," in Optical Fiber Communication Conference, OSA Technical Digest (online) (Optical Society of America, 2017), paper Th1B.7. F. E. Doany, et. al., "Multichannel High-Bandwidth Coupling of Ultradense Silicon Photonic Waveguide Array to Standard-Pitch Fiber Array," Lightwave Technology, Journal of , vol.29, no.4, pp.475, Feb.15, 2011. B. G. Lee et al., "20-μm-pitch eight-channel monolithic fiber array coupling 160 Gb/s/channel to silicon nanophotonic chip," 2010 Conference on Optical Fiber Communication (OFC/NFOEC), collocated National Fiber Optic Engineers Conference, San Diego, CA, 2010, pp. 1-3.